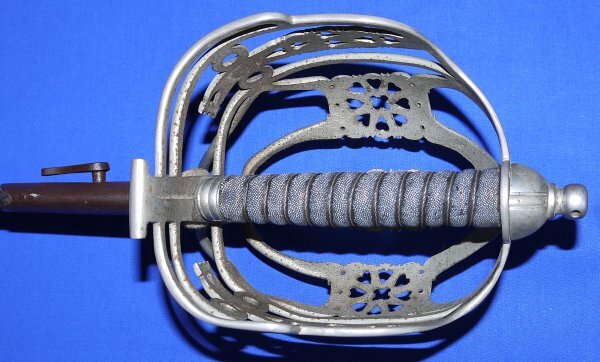 In overall very good condition, a scarce 1857 Pattern Scottish Highland Infantry Sargeant's Broadsword, by Mole of Birmingham. On hold for existing customer until 1st August 2018. 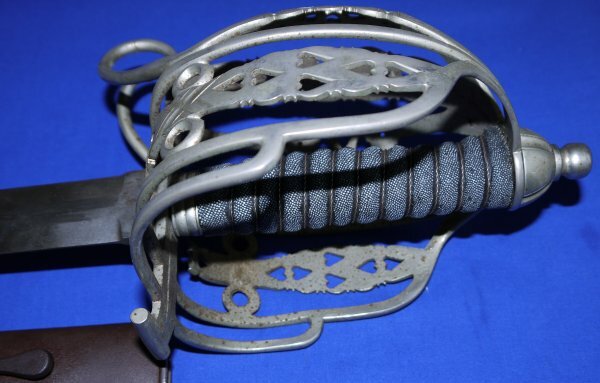 In very good overall condition, a scarce 1857P Scottish Highland Infantry Sargeant's Broadsword, made by Mole (Birmingham). 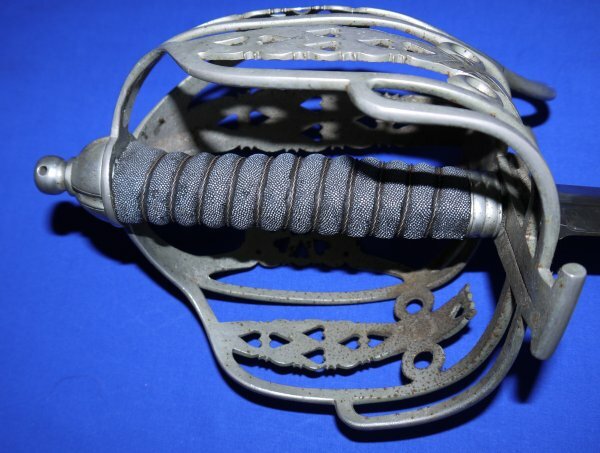 The 32 /12 inch plain single central fullered blade is in very good condition and firm in the hilt. The hilt has a number of small rust spots, not too many. The fishskin grip is in very good shape, the twisted grip wire bindings are good too. 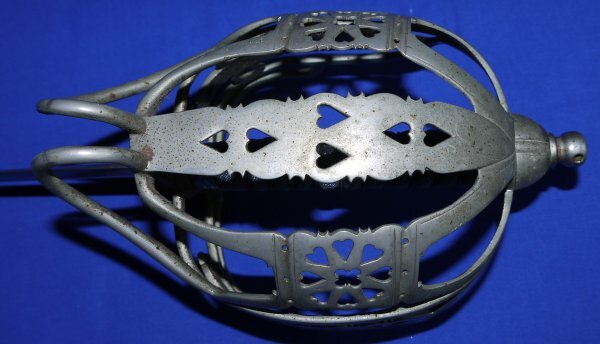 The leather and steel fitting scabbards has lost its chape and some adjacent leather. The rest of the leather is in very aged / limp condition. The sword sheathes and draws well. 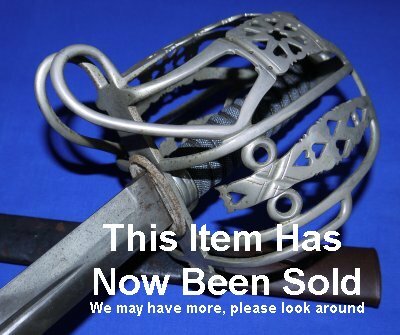 This is a mightily impressive sword, scarce too, especially in such good condition. A snip at £(too late, now sold). Please quote item reference AC70 (0328). Further / full sized images available upon request.